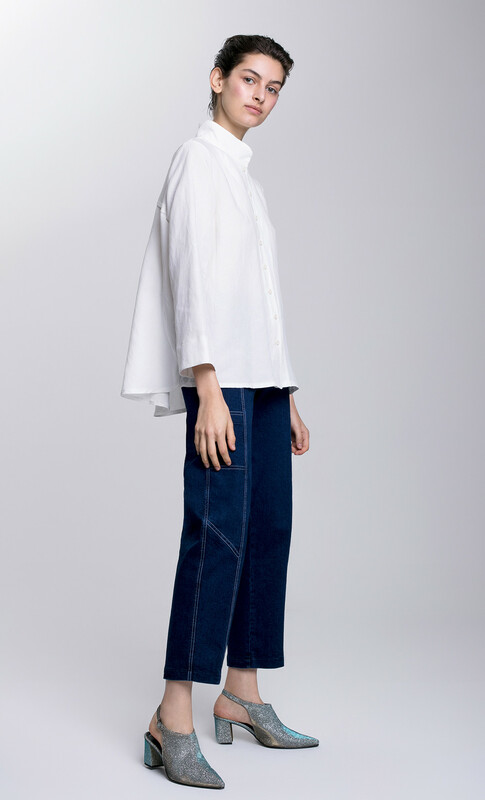 Staying true to DORIN FRANKFURT’s clean aesthetic, the buttoned linen shirt is a wardrobe essential. 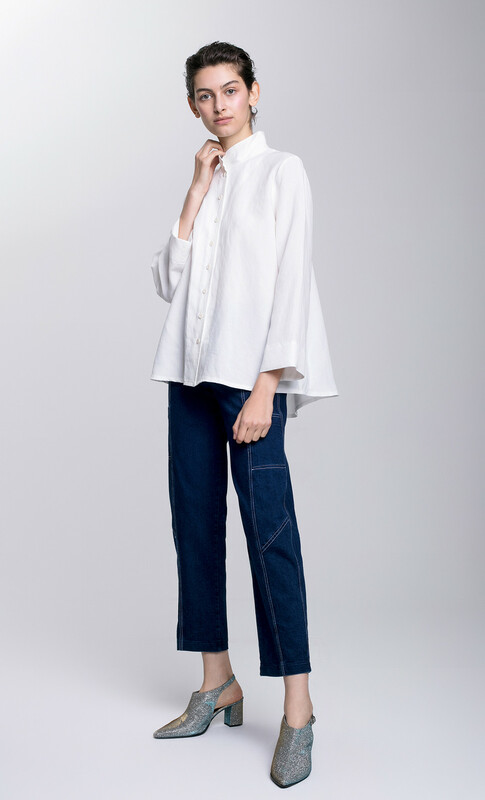 This crisp design has an easy, loose fit and features a raised collar and a trench inspired horizontal pleat at the back. 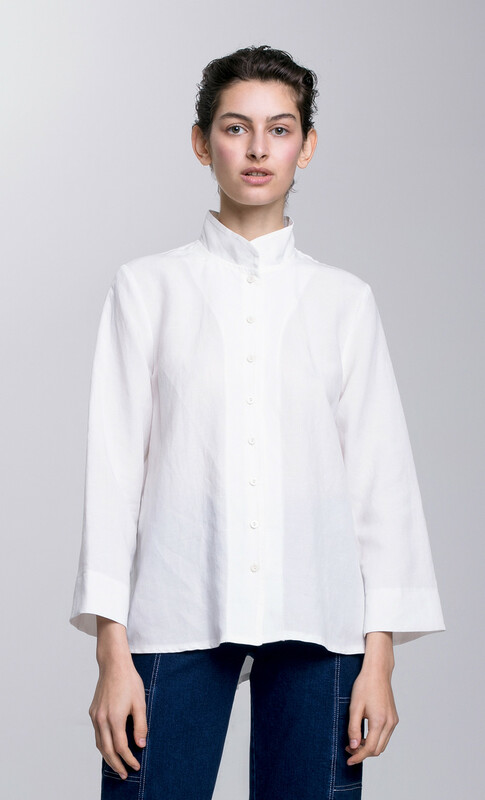 The shirt is available in three colors - natural, cream and black.